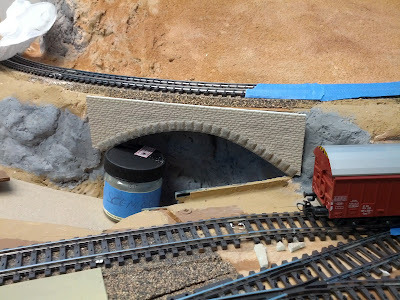 Lostentry - Welztalbahn, Model Railroading, and more: Hanging "bridge"
When I built Talheim station I built a road underpass into the station board off layout. 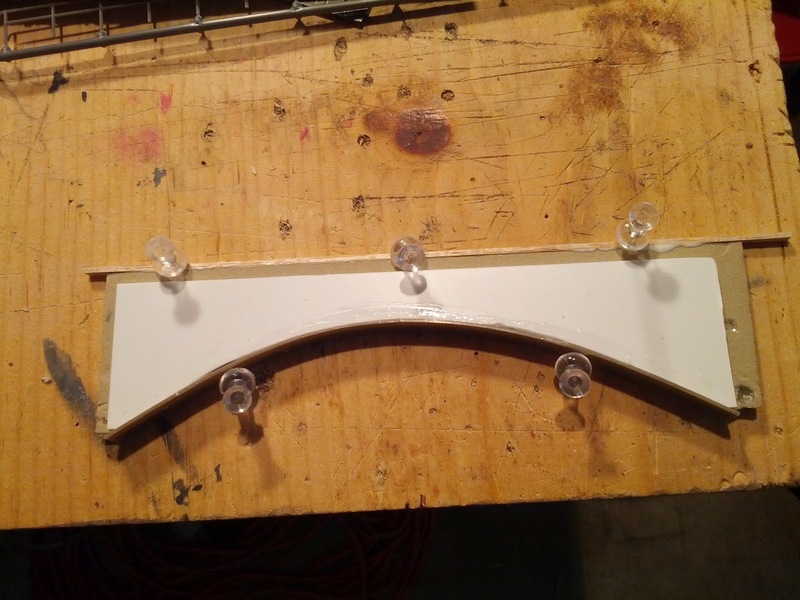 That worked and looked great until I started building the curve leading up to Emsingen. It had its widest point exactly where it met the portal of the road underpass. Whoops! As I built up the basic scenery I modeled a rock "cave" at that point, the road runs under the railroad, and for the longest time I had a cardboard cut-out indicating where the bridge would go. As the scenery is moving closer to that section of track, it's time to fix that. I should have cut the sides of the foam sheet an angle instead of vertically to ease the transition into the surrounding terrain. The rather harsh edge I have now will need to be fixed and hidden away with Scuptamold, bushes, and ground cover at a later time.